Yanis Varoufakis the Finance Minister of Greece announced on Tuesday that Greece would not be making its debt payment owed the International Monetary Fund by a deadline of midnight on Tuesday. This sets the stage for a very tense showdown with international creditors ahead of a national referendum regarding its membership of the common currency eurozone. Athens must pay $1.8 billion before 5 p.m. ET that it owes as part of its aid package of $270 billion that was given to it by the IMF, European Commission and the European Central Banks. The EC is the 19 governments of the eurozone. In July, Greece will have to pay $3.9 billion to the ECB. Greece previously indicated it would not make the payment. Talks between creditors and Greece have broken down as the Greek government tried to negotiate repayment terms that were less onerous and ones not tied to strict austerity measures. Global markets tumbled over the fears the country would try to reach a better deal and could be force out of the common currency zone. Its membership in the EU is also at stake. Markets throughout Asia were able to bounce back Tuesday while indexes in Europe pared their early losses. On Monday, a steep sell off in the regions helped to push the Dow 350 points down, for its largest one-day loss since June of 2013. Wall Street rebounded on Tuesday morning following its steep sell off on Monday. An unnamed source reported early Tuesday that Greece might be reconsidering a proposal previously given by Jean Claude Juncker the President of the European Commission. 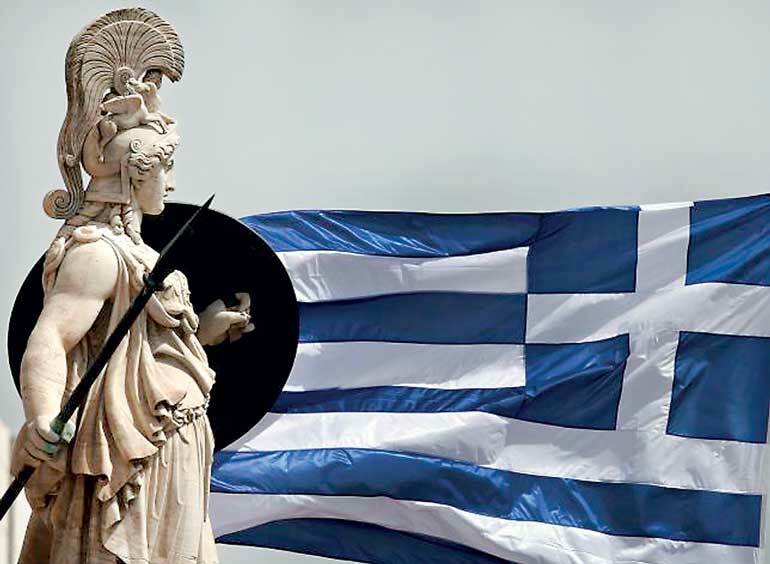 An exit by Greece of the eurozone would reignite the financial contagion that was experienced during the earlier sovereign debt crisis wiped off much of the value of the European government debt. Greece just hours before the deadline to pay their loan payment to the IMF asked for another bailout, which would be their third in five years.